If you know how to use one, a blender can stand in for a food processor to grate potatoes. Potatoes are tricky to grate because of their high water content, but it is possible. Before you start, understand that grating too long might leave you with puree. 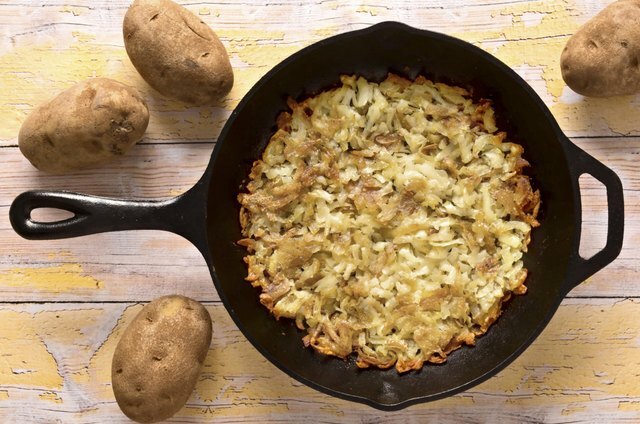 If you get it right, you can have beautifully grated potatoes to make a heaping platter of hash browns or potato pancakes. Using water while you grate gives you better control over the final product. 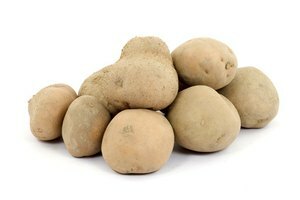 Water also prevents the potatoes from oxidizing and turning brown. 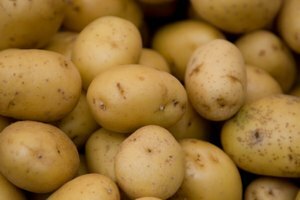 Wash the potatoes under cold, running water then peel them. Cut the potatoes into quarters if they're medium-sized potatoes or eighths if the potatoes are large. Put 1 to 2 inches of water in a large bowl. Add eight pieces of potato to the blender jar. Press the "grate" button and allow the blender to run for 5 seconds. Check the consistency of the potatoes. Grate for another 5 seconds, if necessary. 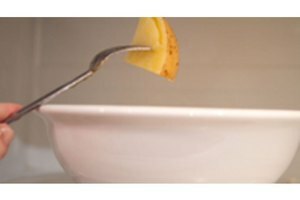 Pour the grated potatoes into the bowl. Repeat until you've grated all the potatoes. Drain the potatoes in the colander. Place the grated potatoes between several sheets of paper towel and squeeze them dry.